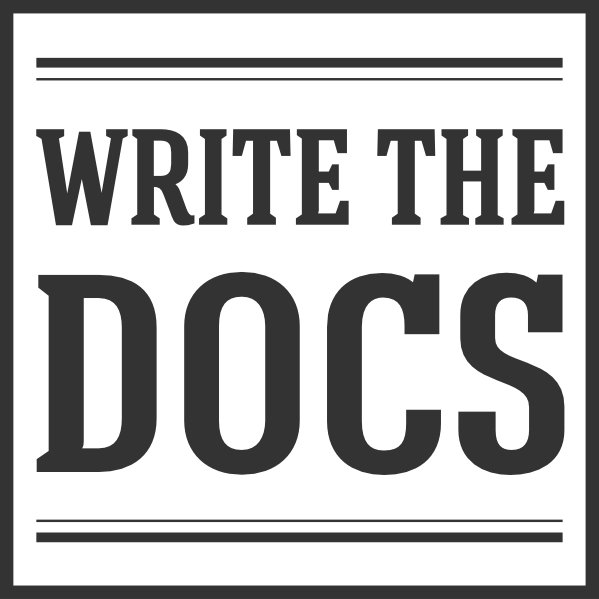 The different facets of the Write the Docs community are kept running smoothly by a wonderful team of folks. We are always looking for more people to help organize conferences and meetups, help out with websites and guides, or take leadership roles in the community. This page documents the roles that people are currently in charge. If you’re interested in helping out, get in touch with someone on the team you’re curious about. Messaging folks on the Write the Docs Slack is probably the best way to get in touch with folks. The folks with an asterisk (*) next to their names are the team leads. They get to choose who is in each team, so they are the best folks to talk to about how to join their team. These are the folks who handle any Code of Conduct incidents. They are also charged with keeping our various communication channels on topic and friendly. As a reminder, we expect exemplary behavior from our community, and won’t tolerate any kind of harassment or prolonged negativity. These are the folks you can talk to about anything Meetups related. Want to attend your first meetup? Have any other questions or concerns? These folks are in charge of putting out our monthly documentation newsletter to the wider Write the Docs community. The stories in each issue are distilled from conversations that happen across the WTD Slack, which are curated and written by a team of volunteers. Friendly folk on the other end of the email addresses who answer miscellaneous questions about all and sundry. Anything from requests for information, to billing and technical issues. These are the folks who maintain http://www.writethedocs.org and keep it up to date. The site is built with Sphinx and hosted on Read the Docs, so familiarity with these tools is a plus. It’s also a great way to learn them, if you want! Update website including Conference sites, Video archives, and other non-meetup and guide aspects. Think about the core team like you would the board of a non-profit. They are the folks who are the current leadership of the organization, who create new teams, and are generally responsible for the community. These are folks who have helped a lot in the past, but have moved on to other projects. We wouldn’t be where we are without them, and want to make sure they aren’t forgotten. Mikey is the documentation czar for Write the Docs in Europe. She is an avid dancer as well as singer, and has probably traveled across more of Europe than you have. Mikey is a senior technical writer at Red Hat living in Prague. Sam has been organizing Write the Docs conferences for a couple years. He’s based in Berlin unless he’s off to a death metal festival somewhere. Sam is a contract technical writer working with Travis CI and other companies. Kelly runs the Write the Docs newsletter, and has been organizing the North America conference for the last 3 years. She has a day job at Kayako where she is the Self-Service Content Manager.